A law firm’s site content is essentially the roof and walls of that firm’s digital office space. It helps hold your site up, retain visitors, and keep new visitors coming in. Technically speaking, law firm site content includes everything from the text on your site’s home page to the page that talks about your firm and its attorneys, the various pages that go into detail regarding your chosen practice areas, your contact page, and any Q&A pages that help deliver information potential clients may wish to read. Most legal digital marketers and law firm content writers talk about a law firm’s blog as a separate entity from a firm’s site content. This is mainly due to one fact: site content tends to be more “evergreen”. A blog needs to be continually updated in order to be valuable to your client base. Frequent blog updates are akin to social media updates in many ways. In contrast, while site content must be kept as updated as possible, it will naturally require less updates than a blog would due to its factual nature. When updating site content, in fact, especially if your site hasn’t been updated for a number of years, it may be better to rewrite parts of it. Site content also requires a great deal of research and factual sourcing. Writing great site content for law firms in particular requires legal knowledge as well as knowledge about the firm and the local legal community. The best legal blog posts are those that are just as well-researched and factually sourced, but between the two platforms, most readers hold blog posts and site content to a slightly different level. Site content primarily exists to inform and educate readers while blog posts are there to inform, educate, and generally entertain or provide additional ways to stay in touch. One of the biggest mistakes any owner of a law firm site can do is to create site content that’s poor in quality. Don’t let your digital office building’s walls fall apart. Copied from another website and not properly sourced. Poor in regards to search engine optimization (SEO) techniques or keyword usage. Filled with a great deal of grammatical/formatting mistakes. Slants too heavily on the SEO spectrum and therefore isn’t engaging or interesting to read. Well-researched, providing source links to statistics, etc., where applicable. Written in an authoritative voice that’s factual yet easy to follow. Contains naturally-occurring search engine optimization elements and keywords as well as links that potential clients can use to navigate to other related content. Written by a professional legal content writer, legal digital marketer, or legal professional who’s an experienced writer. Balances great SEO with an interesting, engaging voice that helps potential clients understand the content. Excellent site content is essential to any law firm website. Potential clients gain an understanding of how much you understand by reading through your firm’s list of practice areas and firm testimonials. If they can’t trust your site’s content to be accurate, how can they place trust in your firm or its attorneys? When content is written especially well, your clients will gain more than trust, in fact. 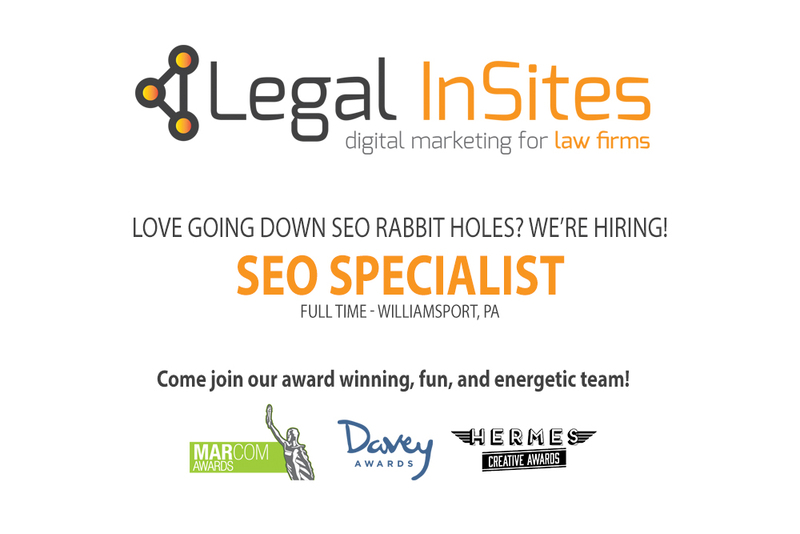 They’ll gain an interest in your firm and the cases you handle without even realizing that the content was written with SEO elements in place. That’s the power of quality writing. It can do much more than inform—it can transform. Quality writing can transform a “legal speak”-filled official court document into a full-page article that even non-legal experts can understand. It can transform a simple list of practice areas into organized pages full of useful information, suggestions, and descriptions that help bring your firm’s attorneys to life. Every law firm has a story to tell regarding the ways in which its employees and attorneys hope to make a difference in the world. Legal InSites is here to help you with your story.